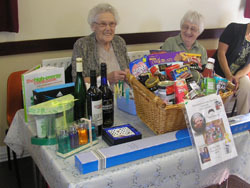 The Friendship Group’s chosen charity for this years’ fundraising was the Five Villages First Responders. 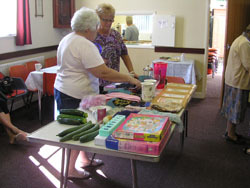 The Group held two Fundraising Coffee Mornings, one on Saturday 3rd May and the other on Saturday 9th August, both held in the Recreation Room. 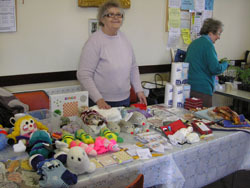 On each occasion stalls included delicious home made preserves, cakes and pastries – always popular – along with some lovely handmade gifts including some unusual hedgehogs cleverly made from folded pages, greeting cards, knitted items and much more. 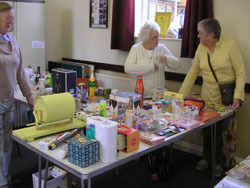 There were also books, plants, bric a brac and of course the tombola. 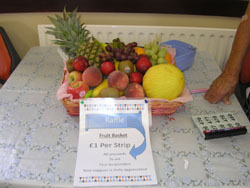 A raffle was held on both days for a large hamper of food for the first coffee morning and a hamper of fruit for the second event, each kindly supplied by Mrs Kath Whitcombe. 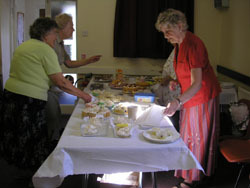 Refreshments of tea, coffee and biscuits were available along with a warm welcome to all. The weather on both days could not have been better – glorious! The first event raised £337.20p and £312.09p from the second. Sincere thanks go to all those who helped, donated and supported these worthwhile events. A cheque for the final total will be presented to the Five Villages First Responders at the Friendship Groups meeting in October.